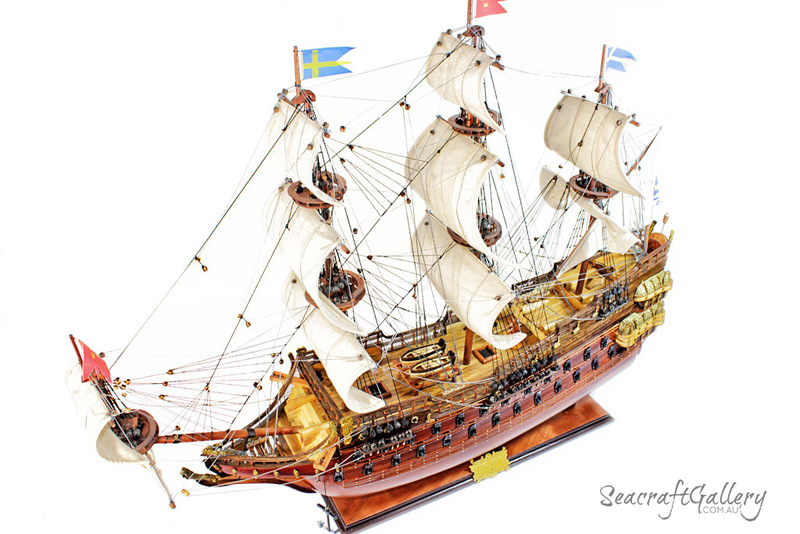 As the ship billed as the heaviest and most splendid of the Swedish navy, Vasa or Wasa was intended to be a statement of imperial pride and expansionist ambition for Sweden, and the glory of Swedish King Gustavus Adolphus. She is the grandest warship in the fleet of Swedish King Adolphus and was built according to his personal specifications. An image of gluttony and strength, it was supposed to take part in the Thirty Years’ War and was to be used to help display Swedish naval prowess. 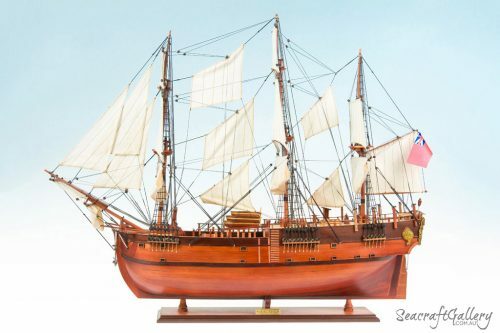 This Wasa model ship is a recreation of one of the most beautiful ships built in the early 1600s. 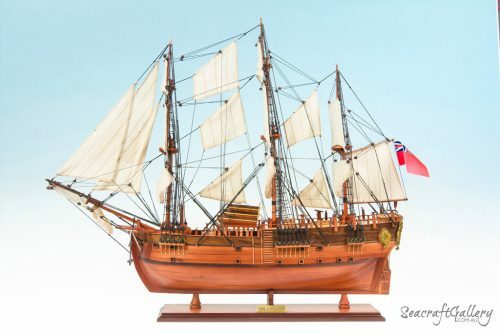 Now this replica with finest craftsmanship of the famous Swedish tall ship may similarly occupy a proud position in your office, home or meeting room. 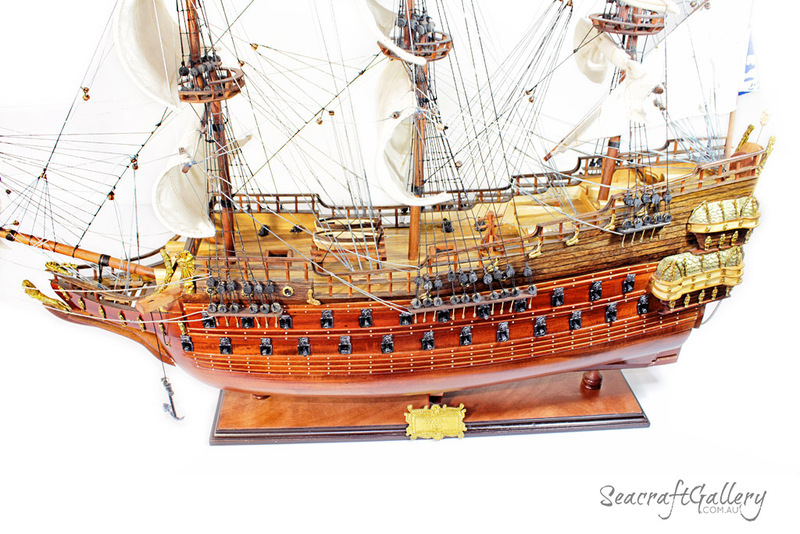 You can also pick up display cabinets, making it easy to showcase this ship on grand display. 95 x 20 x 78cm size, with other sizes available if you so choose. Highly impressive, historically accurate, 1:72 scale model of the Wasa. 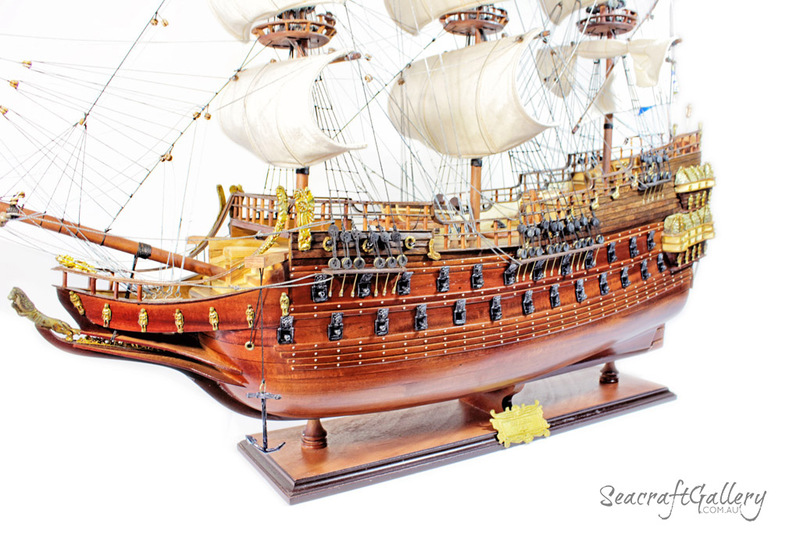 Impressive replica, making this one of our most commonly purchased wooden model ships. 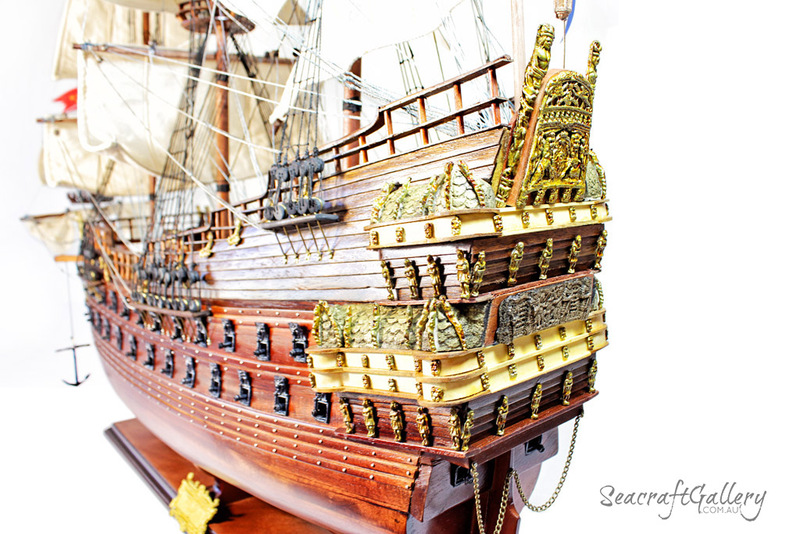 Entirely built by hand, with every piece of wood and metal used made from scratch. 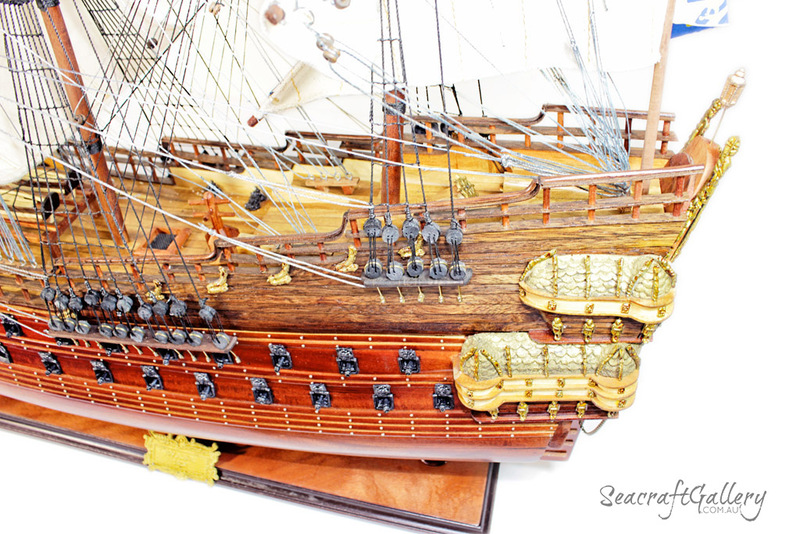 All cannons, muskets, anchors, fixtures, chains, ladders etc. made from appropriate material. 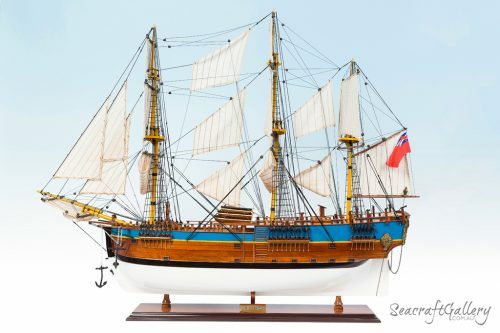 No plastic used – this Wasa model ship only uses materials suitable for the real thing. Handcrafted and according to scale following official plans to help balance everything out. Comes with a solid wooden base that also has a name plate attached for easy identification. 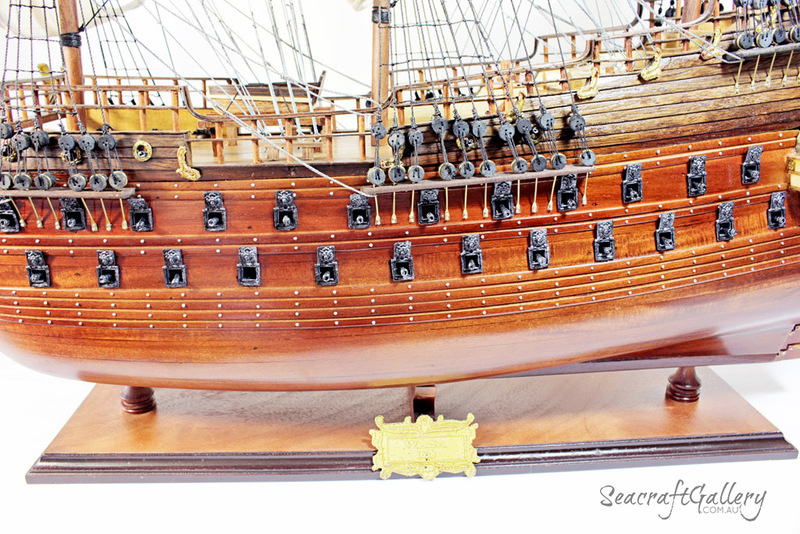 Laminated sheet provided that gives you details about your Wasa model ship for display. When looking at ships of this era, the ships that are often best remembered are those of incredible achievements. 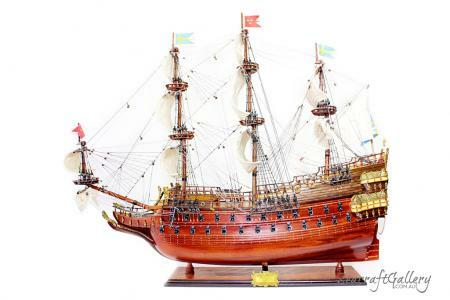 However, when the Swedish maritime services built the Vasa for Gustavus Adolphus of Sweden in the 1620s, it was supposed to be a gift of eloquence. However, the ship – though immensely beautiful – was a crushing failure. 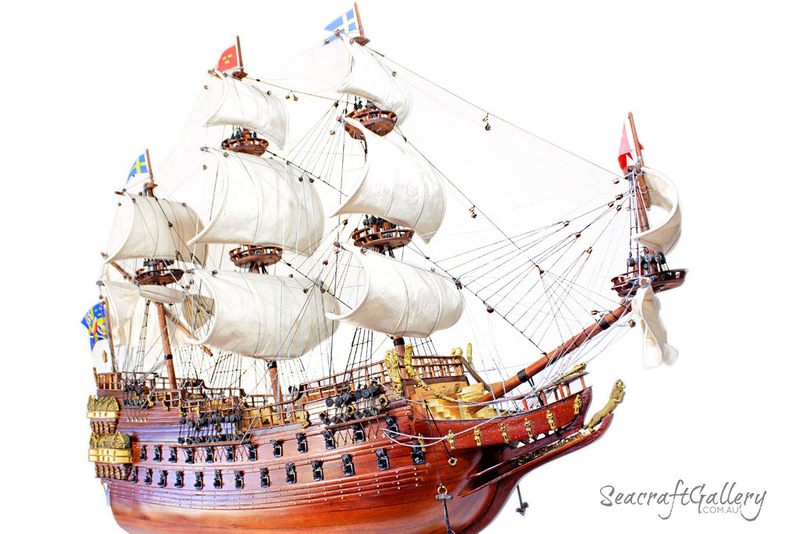 The ship came to be from 1626 to 1628, taking a huge amount of time, resources and manpower to piece together. Eventually, it was moved to Stockholm, where it joined the Vasa Museum stock. Today it attracts tens of millions of visitors. The fact it was so strong and powerful was part of the problem; all it took was a mild breeze to blow the whole thing horribly off course. Even in port, though, its instability was easily noticed. 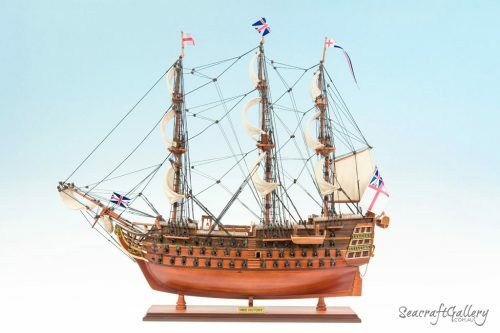 The King of the era, though, lacked the patience to wait for this to be solved – the maiden voyage was supposed to join up with the ships taking part in the Thirty Years’ War. The fact that nobody was found to be at fault for the failed ship probably tells its own story. 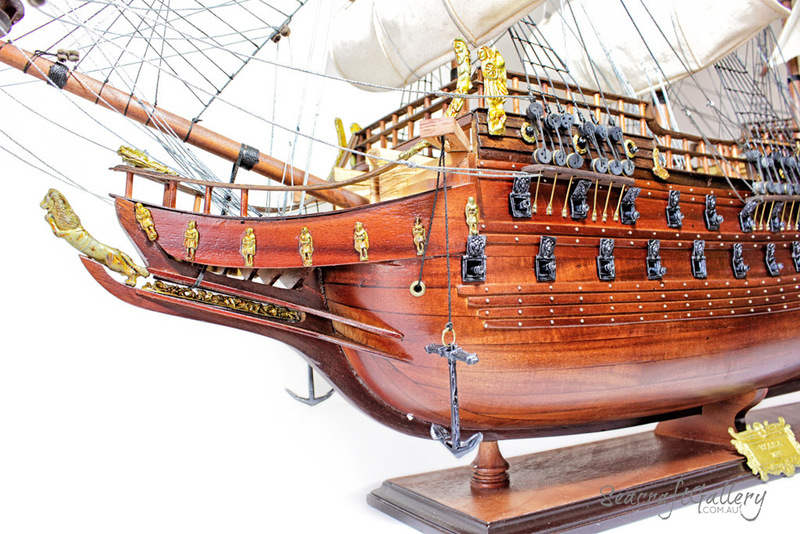 Even after so long underwater, many of the items onboard were found intact and helped really paint the picture of 17th-century naval warfare. At the very least, it let us see that, if nothing else, the Vasa was indeed as opulent as it was proclaimed!